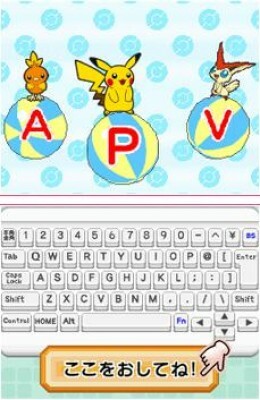 This title is dedicated to young fans of Pokémon because they will play the role of a typist. 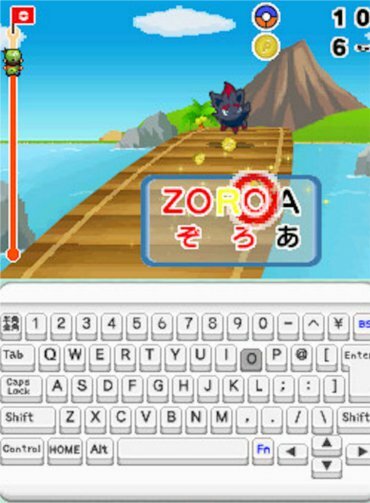 While traveling they will meet different Pokémon and to catch them the player must type their name (in the Japanese version it will be necessary to write the Japanese name of the various Pokémon encountered using theromaji). You will get points when you write exactly the name of the Pokémon and if you type quickly its name. 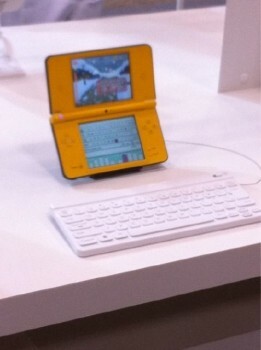 The game come out with an accessory, the "Nintendo Wireless Keyboard" a wireless keyboard used on all DS consoles.